SPARC (the Scholarly Publishing and Academic Resources Coalition) today released a free online Open Access Journal Publishing Resource Index with information and documents to support the launch and operation of an open-access journal. Materials in the index will help libraries, presses, and other academic units on campuses as they work together to make the work of their researchers more widely available. 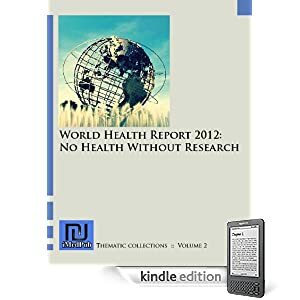 This new resource is launched in conjunction with the SPARC Campus-based Publishing Resource Center ( http://www.arl.org/sparc/partnering), which delivers a guide to critical issues in campus-based publishing partnerships, case studies, a bibliography and resource list, an index of collaborative initiatives (operated in partnership with Columbia University Libraries), and access to the LIBPRESS online discussion forum (operated by the University of California). The Center is overseen by an editorial board representing library and university press staff who are actively engaged in creating and managing publishing partnerships. 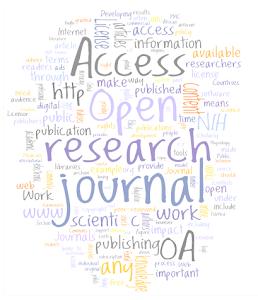 The Open Access Journal Publishing Resource Index is available online at http://www.arl.org/sparc/partnering. Read More! These thoughts on sustaining open data business were provoked by ORCID, a not-for-profit business set up by a group of large academic publishers and a few leading universities. Its aim is to provide a central directory of researchers, with profiles describing them. ORCID is committing to provide open source software but not necessarily open data – offering some limited “non-commercial” activity of the service. Researchers can open their data by “claiming” it but what volume of them are going to do that? Do many more than 15% of academics publish their work in their local open access institutional repository? Charge for high volume – as SimpleGeo offer 10K per day calls to the service and charge a small fee after that. Charge for private data storage – as Talis offer free triplestores for linked open data, and charge for a private data service. Charge for analytical capacity – Fortius One offer the free GeoCommons web map making service and charge for the GeoIQ analysis package. Of course one can always do consultancy and custom development to cover costs. Establishing a namespace, becoming a reference point for others; geoname linked data is used because it is widely used, because it arrived early in the domain. In a survey of potential users, the most sizeable number of ORCID prospective users thought the data would only really be useful as open data. Charging for institutional access and sponsorship are seen as ways to sustain it. Yet there plenty of ways to sustain open data business, for-profit or not or in between. We might yet get a system that really serves academic publication rather than markets to it.